Around 2 years ago the low and mid-tier scene for IEMs was flourishing. A handful of beginner-fi, budget, and mid-fi brands were playing the scene. It was the time where you could have many options within the $25-$150 bracket. For a certain budget, you could have a handful of models with different signatures to choose from. It was a fantastic time for the audiophile world and paved way for many of the higher end brands and units you need see dominating the headlines. One such company that formed part of that great initial impact on the budget and mid-fi scene is Brainwavz. I’m pretty sure you’ve heard of them and some of their earphones including their highly regarded Brainwavz B2. Yes? Yes! The Brainwavz M1 arrives in the signature Brainwavz box with their 2-toned color design. The box includes a really nice carrying case and extra tips. I really like the case, it’s a clamshell case similar to those being sold at Jaben audio. The build is trickier. The earpieces do look very sturdy plus the sleeved braided cables. The Y-splitter looks like it’s built like a tank too along with the 3.5mm plug. The only build weakness I found was the cable reinforcement on the earpieces. There is not much reinforcement to confidence that the cables won’t have issues from sudden tugs from the in-ears. Plus, it’s also a little scary when plugging it in to your ears as there is a tendency that you might press on the cable right where it lacks reinforcement due to the shape. Also, the included tips aren’t really of great quality, so I suggest a replacement if possible. 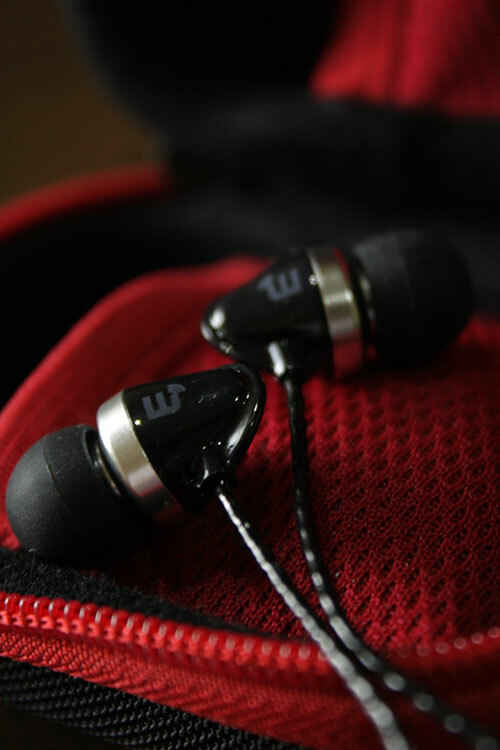 Due to the smallish shape and size of the in-ear pieces themselves, fit is barely an issue from small to big ears. I let someone with small ears try the Brainwavz M1 and it was a good fit. I have big ears and I never found any fit issues at all. The shape and fit pretty much works great. 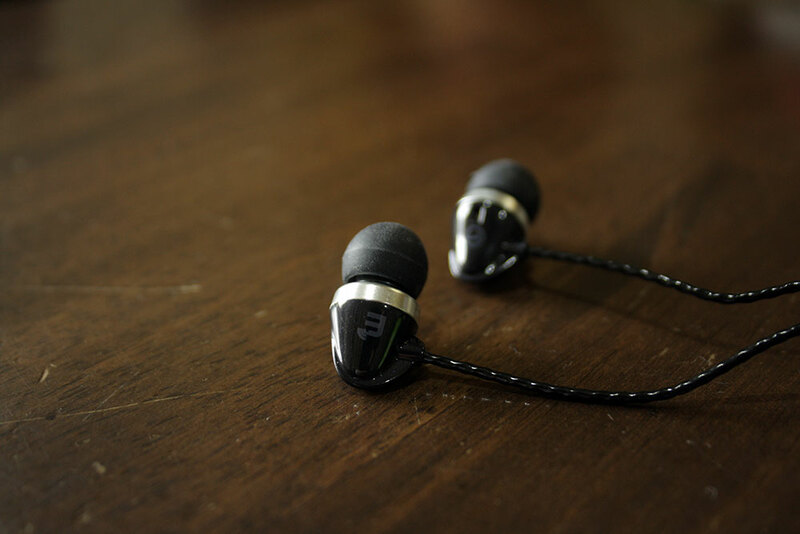 Using the Brainwavz M1 for a couple of minutes, you start to feel as if you’re not using any in-ear earphone due to the good fit and lightweight form factor. Combine this with the braided and sleeved cable that does not give any microphonics and you have a really great in-ear. Isolation though is a different story. Due to the big bass vents and small shape, isolation suffers a lot. Walking on a busy street might see you pushing the volume slightly a bit higher than average isolation. Changing tips could help, but not a huge amount. Out of the box the M1 sounds very thin and peaky. Without burn in it is possible you won’t be impressed with it and may even contemplate on the purchase, but burn it in for around 50-100 hours and the difference is huge! Bass punch is strong, mids are smooth, treble is less peaky, and soundstage width is above average. So burn-in with this IEM is a necessity. The Brainwavz M1 is a warm IEM. It is less warm than the Brainwavz M2 because of the bass being punchier but less bloated. Generally it is versatile and works well with most genres. Just avoid tracks with treble that tend to peak. Mids are clears and smooth, bass is punchy, treble is a little too laid back, soundstage has good width. 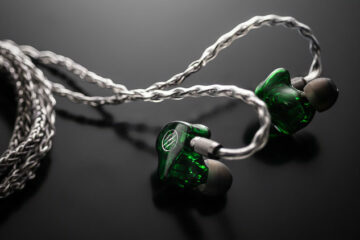 Overall, it is an engaging IEM with good speed and good versatility. The M1’s treble has a quick early drop. Lacking a lot of extension especially for the clear and bright treble that it throws. Quite disappointing hearing the upper-mids throwing a clear presentation then dropping and lacking top sparkle. I feel as if the dip gives the M1 a minus point in PRAT as it has good potential with PRAT if the treble had ample extension and air. The mids of the M1 are clear and bright. Slightly pulled back or a little laid back, but detail is great and the M1 suffers from little or no veil. There is also very little congestion even though instrument separation is only a little above average. Bass is impactful with good snap and above average sub-bass extension which doesn’t dirty up the entire sound signature. Yes it does bleed into the mids when the tracks demands powerful mid-bass, but it doesn’t veil the mids at all. Consider it more of the mids and bass sharing an area of the track rather than overlapping each other. It keeps the music from sounding slow, and also keeps the overall sound quality engaging. Matching is quite easy, it plays well and in similar tonalities from a mobile phone to a laptop and to a DAP. Steer clear of the Ibasso DX50 and DX90 though as the upper region starts to sound a bit harsh when paired with the M1. For the price point of $40, I am sure that a lot of owners will be using these on mobile phones and the lower-tier DAPs from FiiO such as the X1, and yes, they do match well. Running it with the FiiO X1 gives it a little more edge on details than from a mobile phone. Though, some tracks might show treble peaks. 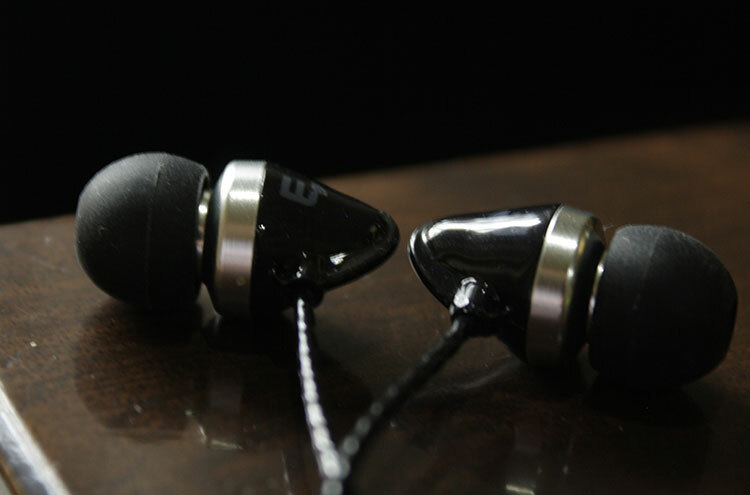 I see the Brainwavz M1 to be a good all-around IEM. I can also see it capturing some bass heads who prefer quality than quantity as it does give a strong punch and extension. Those who want detail and smooth sound will also be good with the M1 as it gives a nice engaging sound with a decent soundstage. Looking for an IEM around the $40 – 60 range? It’s easy to give this as a recommendation. Just don’t forget to burn it in well.